Hey everyone check out the Sydney Sing for Good entry. Singing weekly is our chance to have fun, meet new people and forget about the challenges and dramas of life. Gathered around the piano we love being part of our community and sharing the joy of song! 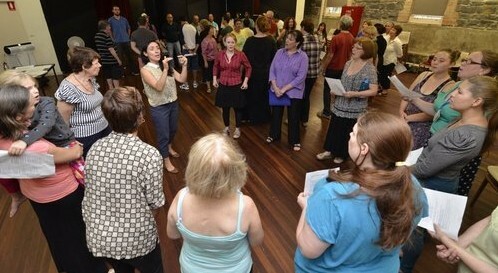 Just one month to go in Sing for Spring and there’s a Brisbane/Melbourne ‘people’s choice’ TIE for top spot! Donations and votes both count towards the winners, so please enjoy the amazing video gallery and act now to support your favourites! Thank you to everyone who has entered, voted, donated and spread the word so far. We are so grateful for your support.. but we have a way to go. This uplifting project is for a great cause. It’s more fun (and less chilly) than the Ice Bucket Challenge and a great way to help diverse communities work together in harmony towards brighter futures! Please help us get Australia singing! Take a tea break and check out the latest Sing for Spring video entries – they’ll really brighten your day! Please donate, vote and share to support your favourite entries. Join the fun! 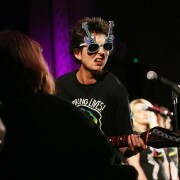 Gather a group (two people is fine), sing a song and enter your video online at www.singforspring.com! The best videos will screen at Federation Square. 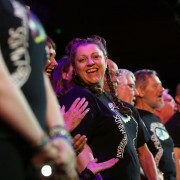 Plus, donations raised will help the With One Voice choirs stay open and sponsor places for people in need. Find out more about the cause behind Sing for Spring in our With One Voice HQ video message. This song was written specially for Sing for Spring by Scott Johnson (singer/songwriter, actor, star of the Jersey Boys) and features his partner Verity Hunt-Ballard (Sing for Spring Ambassador and Helpmann Award winning star of Mary Poppins) and With One Voice choir participants. Thank you to everyone who contributed to this wonderful recording project. What would the world be like if we sung more? To find out, be part of Sing for Spring, our national community singing project. Here’s a special video message from the team at With One Voice HQ about Sing for Spring! The FIRST FIVE choir participants to submit an entry will receive FREE movie tickets! So have a bit of fun and get singing with your family, friends or colleagues! 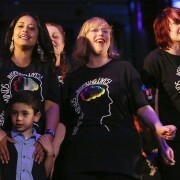 Check out With One Voice HQ’s rendition of Chubby Checker’s ‘Let’s Twist Again’ for inspiration. If we can do it – anybody can! Remember, tax-deductible donations raised during Sing for Spring will help keep the With One Voice choirs open and sponsor places for people in need. Every little helps! With One Voice Ashburton has written an original song and entered it into Sing for Spring! 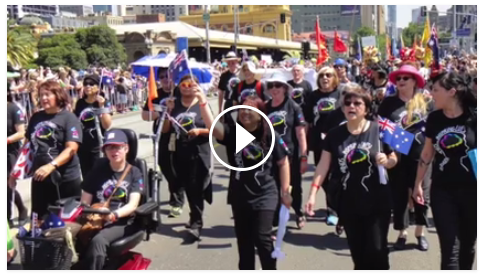 Donations and votes will help them get onto the big screen at Federation Square, so please watch and support their amazing entry. • Mary Poppins star Sings for Spring! Meet Sing for Spring Ambassador Verity Hunt-Ballard & little Emmy-Lou. • Let’s Twist Again! Groove along to With Voice HQ’s Sing for Spring entry! • Challenge your friends! Watch the latest entries to Sing for Spring. Ticket bookings for the With One BIG Voice concert are NOW OPEN! Click here to book online. This year, the winners of Sing for Spring will be announced at the concert! Hard copy booking forms will be available at your choir soon. Happy singing!